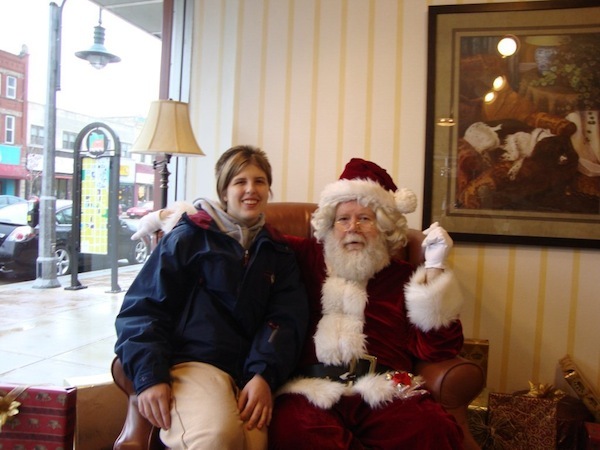 Posted on Nov 16, 2011 by Appleton Downtown Inc.
Santa will be in Gabriel Furniture's window on Nov. 19th from 11am - 3pm and then every Saturday through Dec. 17 noon - 3pm! Gabriel's searched for and found custom made necklaces featuring Badgers and Packers logos and local maps. These are just $35 each and make great gifts or receive one free with a purchase of $199 or more!